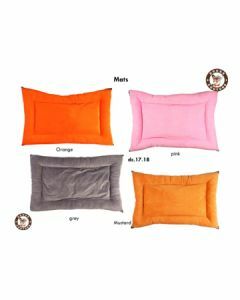 Cosy and comfortable pillows and beds help your dogs to rest and sleep peacefully. You can find a variety of super quality Beds and Mats on PetsWorld, in different sizes and colours. Having a separate bed for your pet dog is good for his physique as sleeping on floors and uneven surfaces can affect their posture. The latter can also disrupt their sleep which can affect their health. Moreover, the beds can also provide proper insulation to your dog from heat and cold. 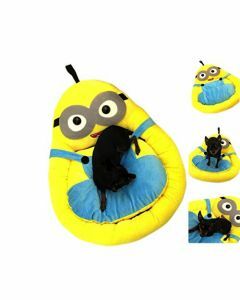 We at PetsWorld offer you Bucket Bed, Flat Bed, Canvas Bed and other types of couches for your pet dog which are made out of top quality materials. PetsWorld Rectangular Canvas Bed is a wonderful bed for your dog which is completely waterproof ensuring an absolute safe use. Petsworld Tub Bed With Bone Pillow for Dogs Large is another fine quality bed which works like a charm for large breed dogs. It offers an ideal level of cosiness which makes your pet dogs fast asleep. It also has a pillow in the shape of a bone. 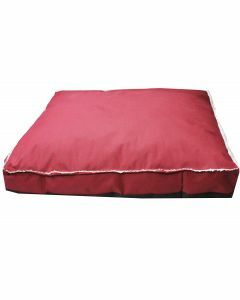 Explore all the snuggly and cosy beds and pillows for your pet dogs to give them a super resting and sleeping place.